Join us with Irreversible Projects at Art Monaco 2o14 - one of the art world's most prestigious art fairs. Monaco is a sovereign city-state, located on the French Riviera in Western Europe. It is bordered by France on three sides, one side borders the Mediterranean Sea. It is the planet's second smallest country roughly the same size as Manhattan's Central Park and can be traversed entirely in under an hour. 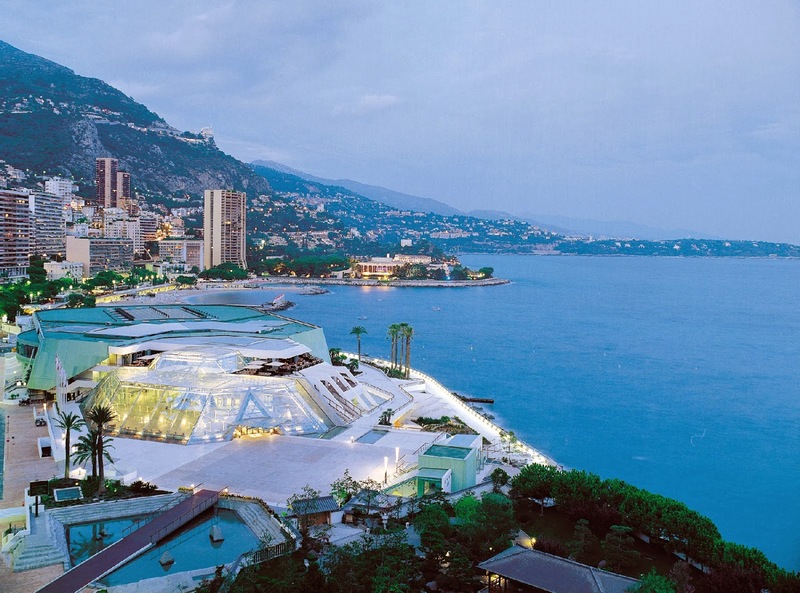 Monaco is a constitutional monarchy that has become a major financial and artistic mecca, best known for it's royal opulence - ruled by Albert II, the reigning monarch and head of the Princely House of Grimaldi. He is the son of Rainier III, Prince of Monaco, and the American actress Grace Kelly. Art Monaco is an international contemporary art show taking place in Monte Carlo, Monaco - celebrating it's 5th edition this year. It is considered as one of the most prestigious and poshest art shows in the French Riviera opening its doors once again for art lovers, collectors, international media, art critics and renowned personalities that will gather for this exclusive event. Join us with Irreversible Projects & Giants in the City as we flock to Art Monaco April 24-27, 2o14. Irreversible is a renowned art magazine and international art project, it is a pioneering art platform that will be participating in Art Monaco showcasing some of the world's finest modern and contemporary artists. Giants in the City is a traveling public art exhibit of colossal, inflatable sculptures that encourage interactive activities and relaxation, contemplation in nature, heightened perceptions and the process of creative thought. 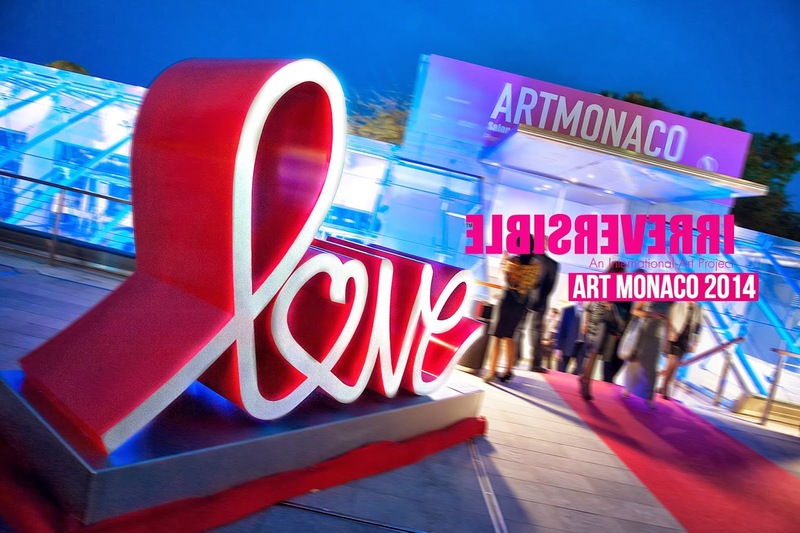 Art Monaco acts as a platform for large corporations, business leaders, renowned art galleries, established and emerging artists that come together during this four-day art extravaganza. For more information on how to participate with us at the Irreversible Pavilion & Giants in the City during Art Monaco 2o14 contact Kat Wagner at Miami Art Scene via miamiartscene@gmail.com. The Coral Gables Museum is hosting ARTcycle now through February 23, 2o14 in their Robert and Marian Fewell Gallery. 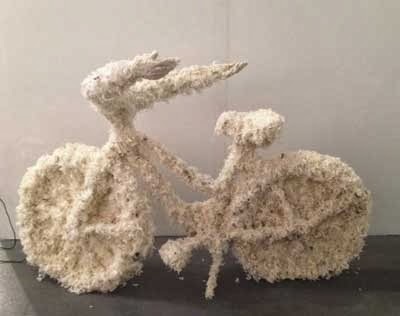 ARTcycle merges the Miami art scene with the Miami bike movement for an exhibition of bicycle-related artwork and sculptures made from bikes. 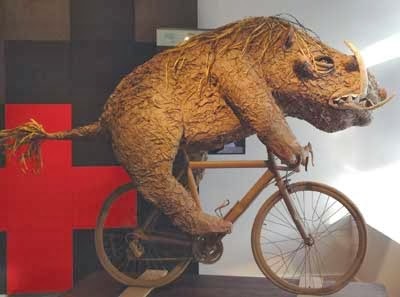 This innovative exhibit furthers ARTcycle's mission to raise awareness, respect and tolerance for cyclists and reduce the number of bike-related accidents in our city. Featured artists include Maria Castillo, Giancarlo Ciavaldini, Mariano Costa-Peuser, Giselle Delgado Buraye, Floyd, Astolfo Funes, Danillo Gonzalez, Antonio Guerrero, Lucinda Linderman, Matachos, Nancy Martini, Aurora Molina, Carolina Molina, Janet Mueller, Edgar Ramos, Cesar Rey. Gioconda Rojas, Cesar Santos, Cesar Santalo, Katy Stallfus, Aida Tejada, and Andy Toonz. ARTcycle is curated by Giselle Delgado and Tachi Llamas - founders of the ARTcycle project. The Coral Gables Museum is located at 285 Aragon Avenue in Coral Gables, Florida 33134. 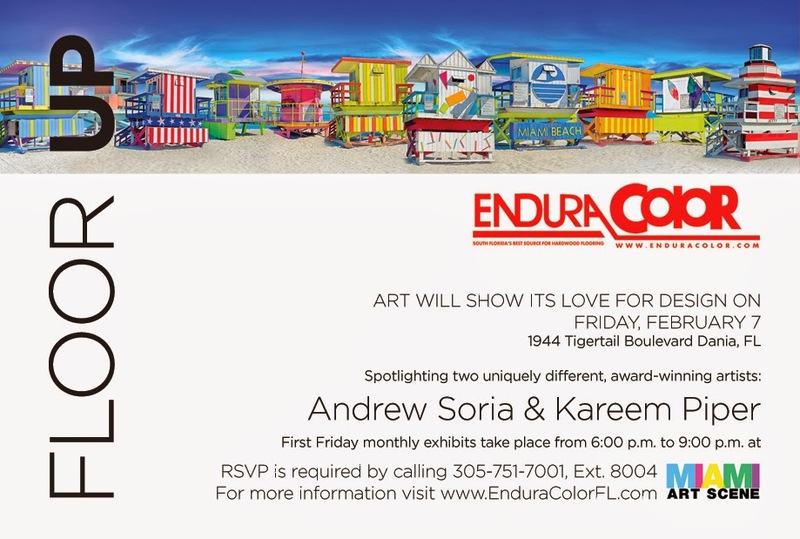 Art and Design will embrace an edgy new monthly exhibit venue at Dania's EnduraColor on Friday, February 7, 2o14 from 6-9pm. EnduraColor is known as one of the top design destinations for rare and exotic hardwood flooring, they are transforming their venue and hues to spotlight emerging and renowned artists for monthly "Floor Up" art exhibits. The monthly exhibits will take place on the first Friday of each month from 6-9pm. at EnduraColor's Showroom located at 1944 Tigertail Boulevard in Dania, and are open to the public. "By creating the monthly EnduraColor Floor Up exhibit, we are filling an interactive void in the design and art community that can really have an impact in bringing these two industries together, " said Fida Botti of EnduraColor. The debut of "Floor Up" spotlights two uniquely different, award-winning artists: Miami-based artists Karem Piper and Andrew Soria. Gaze upon one of Kareem Piper's masterpieces and you will find yourself, at the very least, believing you are already there. His work is radiant, compelling, and bursting with introspection and spirituality. Piper's work questions everything and holds nothing back. His paintings reflect his experiences, culture, and desire to explore universal truths. Fine art composite photographer Andrew Soria creates stunning landscapes of ornate and complex digital collages. His digital composite art involves an intricate process of manipulating a variety of images using various techniques to create a newly defined image. With his discerning eye and clever attention to detail, Soria's illustrations become visual eye candy with a scenic purpose and message for the viewer. We are very excited about the 'Floor Up' design night series at EnduraColor for the Dania First Friday Art Night. Attendance is free, however RSVP is required by calling (305)751-7oo4, Ext.8oo4 - please indicate that you were invited via Miami Art Scene. EnduraColor is one of the most noted authorities in the design community. The company's products and floor designs are one-of-a-kind installations that are celebrated and enjoyed internationally - serving top designers worldwide for more than 2o years. Miami Art Scene is proud to present our renowned artists Kareem Piper and Andrew Soria. Both artists are represented by Miami Art Scene, for sales and inquiries contact Katerina Wagner via miamiartscene@gmail.com. 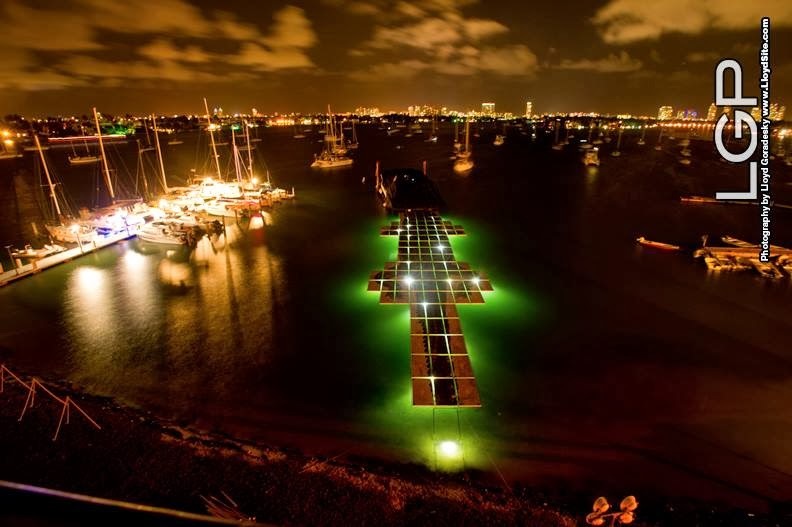 Miami-based artist Lloyd Goradesky's Gator in the Bay is off to Hong Kong this Spring, May 15-18, 2o14. The Gator is no stranger in Asia, last year an image of Gator in the Bay from Art Basel Miami was used to promote the inaugural Art Basel Hong Kong show to demonstrate the wondrous creativity and artistic magnitude that exists within the art world today. 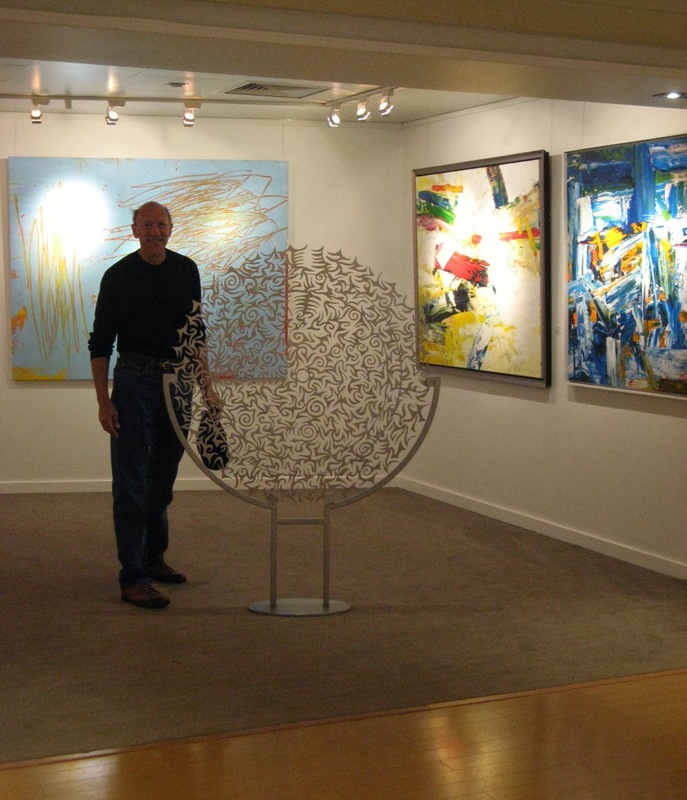 Artist Lloyd Goradesky's grandiose scale of art has given him worldwide acclaim, he recently received the prestigious 'Impact Artist of the Year' award, and his artwork was acknowledged by the Clinton Global Initiative as a testament to the power of art and how important art is to convey a message. As his list of accolades and recognition continues to grow, Goradesky is reaching a unique audience that appreciates the power of his art along with it's unique message. Gator in the Bay was created to generate awareness for the Florida Everglades. Gator in the Bay is a 33,ooo pound alligator the size of a football field that floats. The head is a 3-story steel sculpture built on a self-propelled barge, the upper jaw opens and closes. The 180 foot body is a photo mosaic created with 1o4 Floating Art Tiles that are each 8 feet by 4 feet. 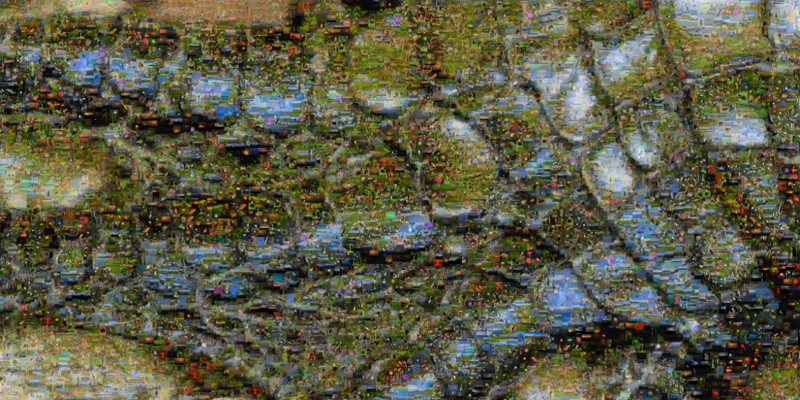 The illusion of the alligator body is created with over 83,ooo images of the Florida Everglades. Each individual Floating Art Tile is made up of over 3,ooo images from photographs that Goradesky shot in the Florida Everglades, which he magnificently captured for over two decades. 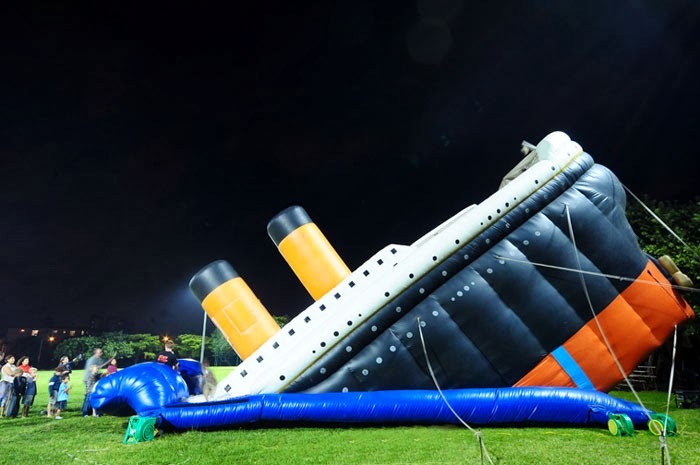 After the Gator's tremendous success at Art Basel Miami Beach 2o12 and 2o13, we are certain that the reward for the exhibitor in Hong Kong will surpass all expectations. We are looking for a Sponsor that is able to exhibit and manage worldwide exposure that comes with a unique public spectator art piece. The opportunities for Gator in the Bay are endless, it is a complete exhibit that includes: Tshirts, Posters, Project Diagrams, Hats, Books, and Mixed Media Art, in addition to the sale of the Floating Art Tiles. If you would like to be a Sponsor for Gator in the Bay at Art Basel Hong Kong and would like to participate in making art history, please contact Kat Wagner at Miami Art Scene via: miamiartscene@gmail.com. Another interesting feature of Gator in the Bay is that it appears different throughout the day and night. During the daylight hours, the illusion seems very real and genuine. In the darkness, the Floating Art Tiles become darkened alligator scales, which silhouette with underwater lighting. Miami-based artist Lloyd Goradesky has successfully used the power of art to bring awareness to our natural surroundings. The project is airing on Learning Channel, PBS, Art Loft, Discovery Channel USA & Canada, National Geographic, as well as countless local, national and international media vehicles, publications and broadcast stations. Once an artist reaches the type of world-class status that Goradesky has achieved, the sky is the limit. Keep your eyes peeled for Gator in the Bay at the gateway between East and West - Hong Kong. One of the world's most dynamic international capitals, Art Basel Hong Kong will be taking place May 15-18, 2o14. The artist and Gator in the Bay are represented by Miami Art Scene - for sales or inquiries contact Kat Wagner at miamiartscene@gmail.com. 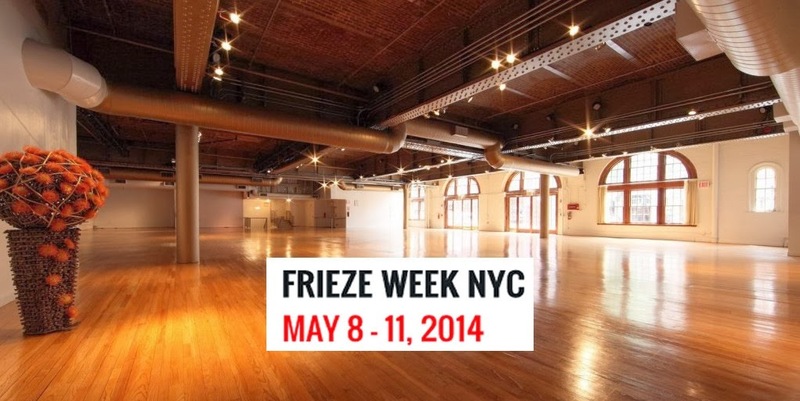 Miami Art Scene is the exclusive liaison for SELECT FAIR NYC during Frieze Week May 8-11, 2o14 at The Altman Building in the heart of Chelsea - 135 West 18th Street in New York, NY 10011. We are seeking Galleries who wish to exhibit during Frieze New York. 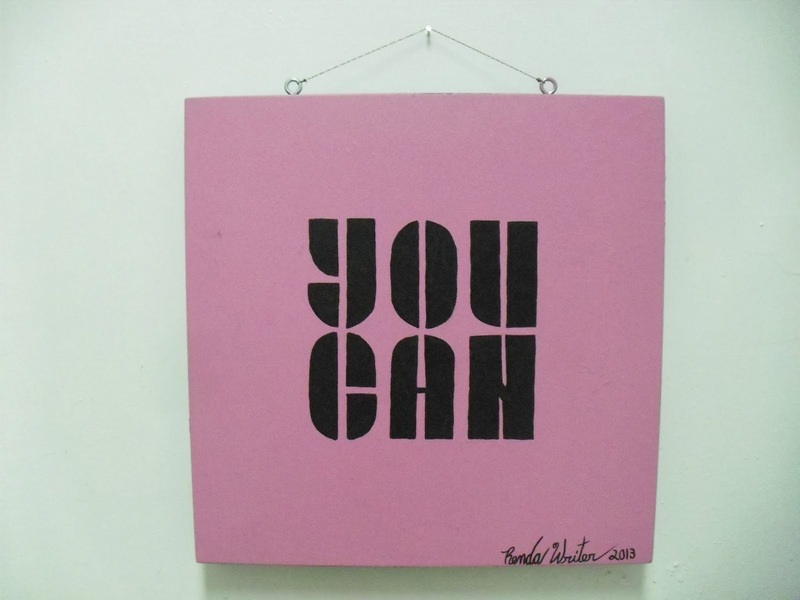 SELECT FAIR NYC is a 44 booth contemporary art fair exclusive to contemporary galleries and print publishers. Each exhibiting gallery at SELECT must dedicate a portion of their booth to new media/installation/conceptual/progressive works. Thus providing a platform for new ideas to exist in the fair model. 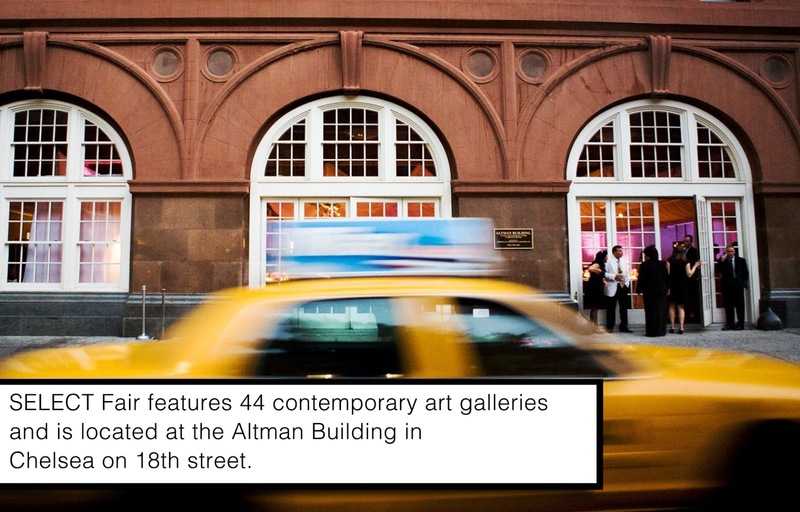 SELECT FAIR NYC is located in Chelsea on West 18th Street at the historic Altman Building, which is only a short walk from the 14th Street Subway. 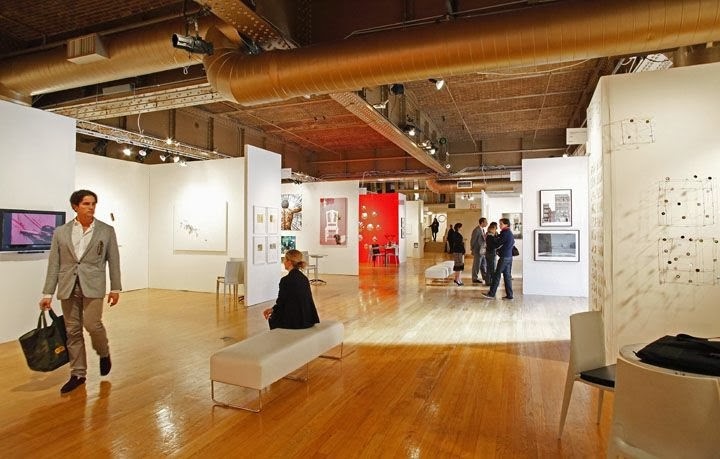 We are a two level fair featuring 34 ground level booths and 10 basement level booths known as SELECT PROJECTS, which is a 10 booth section featuring galleries who choose to focus on the work of one artist who has a recent body of work that they would like to present. If you are a gallery interested in exhibiting with SELECT FAIR during Frieze New York, please email Kat Wagner at miamiartscene@gmail.com for an application + prospectus, or with any questions or inquiries you may have. ArtPalmBeach celebrates its 17th anniversary at the Palm Beach County Convention Center from January 24-27, 2o14 with a preview evening January 23rd. ArtPalmBeach is considered one of the most influential contemporary art fairs on Florida's Gold Coast by both critics and art enthusiasts. Over 8o international galleries will be exhibiting contemporary and emerging artists. 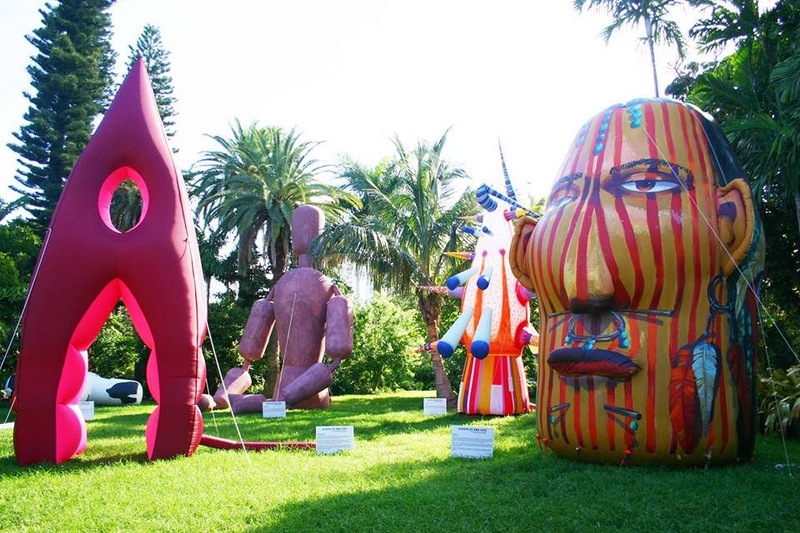 Join us at ArtPalmBeach with Irreversible - An International Art Project, exhibiting a sculpture garden with Miami-based artist Alejandro Mendoza. 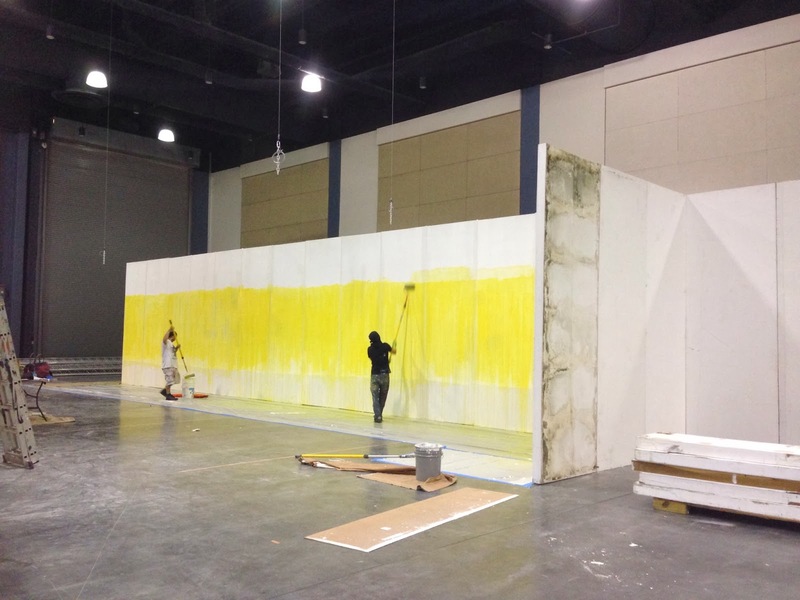 Irreversible's booth is being constructed in preparation for the show this weekend. 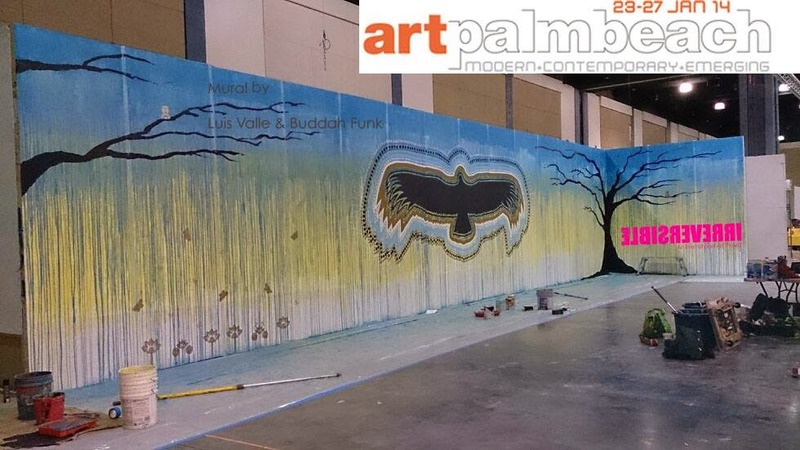 Two Miami-based artists have worked their magic by creating a spectacular mural on the partition walls, Luis Valle and Buddah Funk. They began with blank, white walls and by the time they were through, a masterpiece emerged. The local art fair market is undergoing a period of rapid growth and change, soaring art prices are driving the demand for new art fairs. Two art fairs will debut in Silicon Valley this year, the art organizers of Art Miami have set their sights on the tech industry. "There's an undeniable force of international tech-business and venture capital money in the Valley region, " says founder of Art Miami, Nick Korniloff, who will direct the new fair Art Silicon Valley/San Francisco this October 9-12, 2o14. Meanwhile, the Hamptons Expo Group, which ran the San Francisco Fine Art Fair until last year, will launch the Silicon Valley Contemporary this Spring, April 1o-13, 2o14 at the San Jose Convention Center where clients can purchase works via Google Glasses and tablets. The Hamptons Expo Group president Rick Friedman says, "A lot of corporations out there are building collections - Adobe, Facebook, Google, Cisco - and we're actively involved with them." Miami Art Scene is partners with one of the hottest art spots in Miami, McCormick Place - a unique art complex nestled in the heart of Downtown. The 8-story building is a collective of artists, studios, gallery spaces and creative businesses located at the cultural crossroads - 111 SW 3rd Street in Miami Florida 3313o. The main floor houses a magnificent exhibition space encompassing 3,4oo sq.ft. available for art exhibitions, installations and events - complete with a stage, lounge area, bar and restrooms. We have space available for emerging and established artists, galleries, art organizations and creative businesses. Entire floors can be leased boasting over 3,ooo sq.ft. of open space and spectacular views of the city. 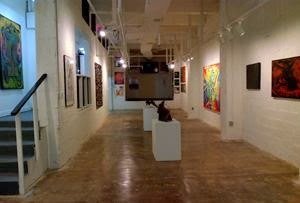 The gallery space on the main floor can be rented out for a pop-up gallery, an art exhibition, solo or group show. McCormick Place offers the perfect location for artists or art businesses to have a presence in the Miami market. If you are an artist, a gallery or creative business that needs studio space or wants to establish an art hub or satellite gallery within Miami, or if you would like to lease the space for a show or an event, please contact Kat Wagner at Miami Art Scene via (786)571-6112 (or) miamiartscene@gmail.com to discuss the opportunities available at McCormick Place. A variety of art, fashion, film and creative events, photoshoots and parties take place at the building month-to-month drawing tremendous traffic and crowds. 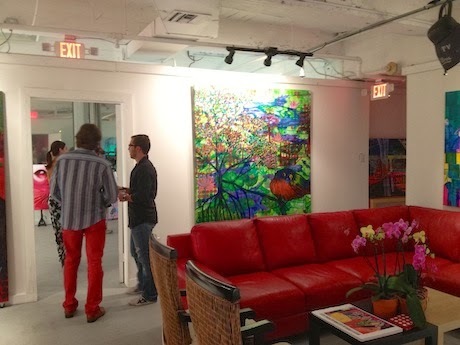 The Downtown Art Walk and McCormick Place Gallery Night takes place on the First Friday of every month, known as the 'First Friday's Art Walk'. The venue features exterior murals by well-known, established South Florida artists. Stephen Gamson's bold and iconic works 'At The Table With A Flower' and 'Meeting In The Rain' prominently hang at the top of the Southern and Eastern facades of the building. 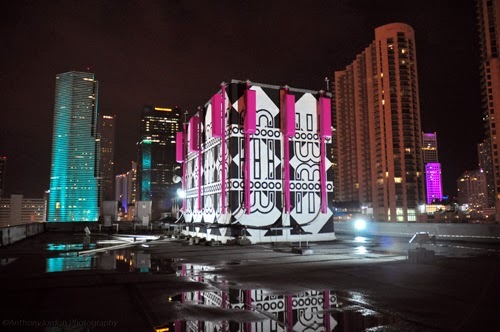 Eleazar Delgado's rooftop masterpiece 'Seagrasses In Bloom' pays homage to Miami's history while adding to and highlighting the spectacular Downtown skyline. Derek Wilson's spectacular 'Spirit Of Flagler' mural on the Western facade of the building is a beautiful tribute to the Flagler Railroad and history of our city. 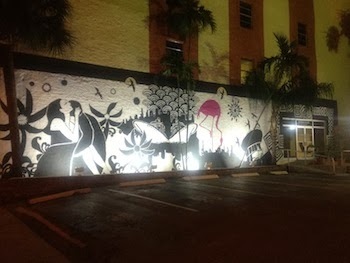 A stunning monochromatic mural along the entry wall of the building was created by students at Miami International University's School of Art & Design, which showcases Downtown's attractions and night life. All visible from I-95 expressways and Downtown surface streets. 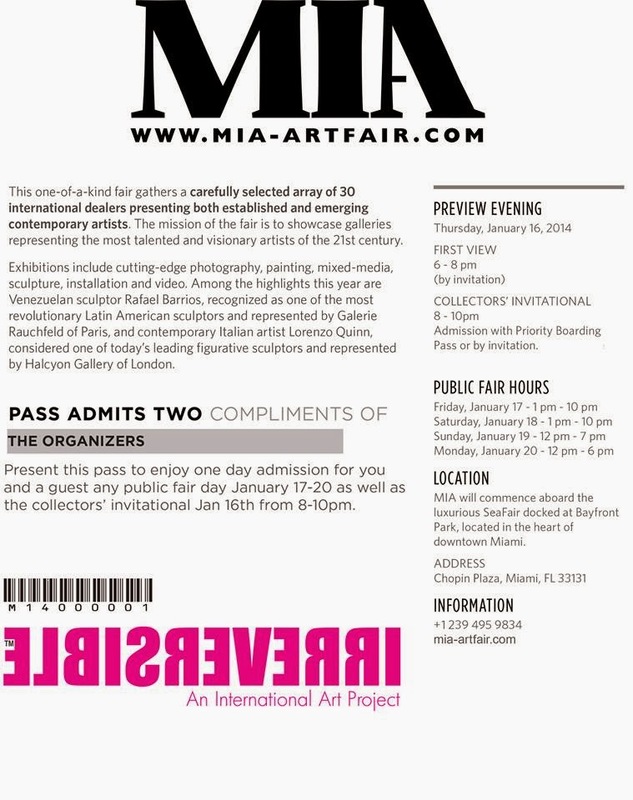 You are cordially invited to attend the 5th Edition of MIA - the Miami International Art Fair taking place January 16-2o, 2o14. This prestigious fair will be held aboard the magnificent SeaFair, a 228-foot megayacht exhibition venue, complete with gallery exhibition spaces, sky deck bar & bistro, cocktail lounges, and a continuous program of artist receptions. 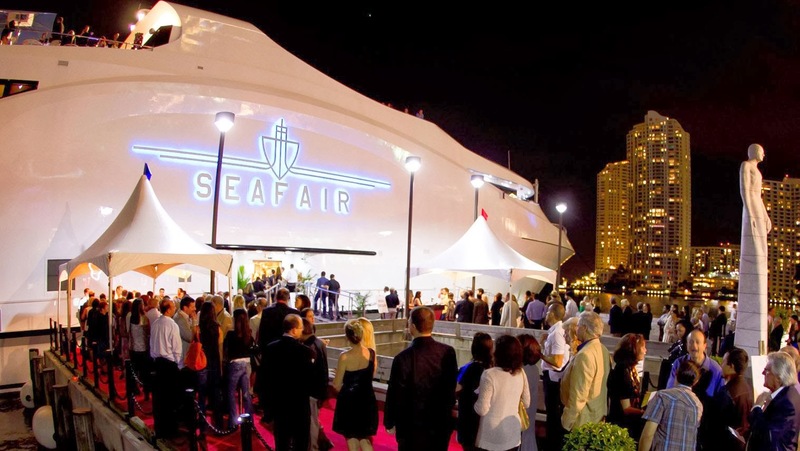 The SeaFair is permanently docked at the Bayfront South Dock at 1oo Chopin Plaza in Downtown Miami next to the InterContinental Hotel in Miami, Florida 33131. The mission of the fair is to showcase galleries representing the most talented and visionary artists of the 21st century. 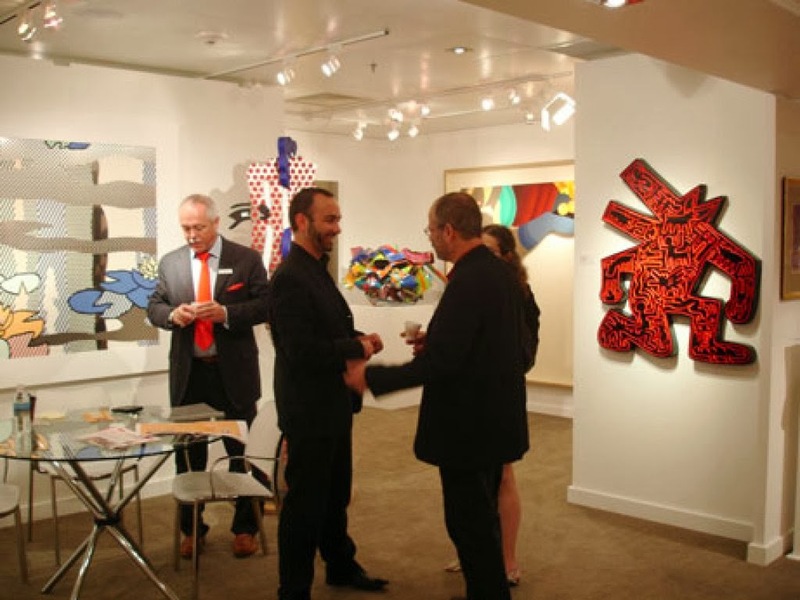 This one-of-a-kind art fair gathers a carefully selected array of 3o international art dealers presenting both established and emerging contemporary artists. Exhibitions include cutting-edge photography, painting, mixed media, sculpture, installation and video. Among the highlights this year are Venezuelan sculptor Rafael Barrios, recognized as one of the most revolutionary Latin American sculptors, represented by Galerie Rauchfeld of Paris. Also joining us this year at MIA is contemporary Italian artist Lorenzo Quinn, considered one of today's leading figurative sculptors, represented by Halcyon Gallery of London. The fair will commence with a private preview on January 16th from 6-8pm. for SeaFair Society Members. The preview evening will continue with a Collector's Invitational from 8-10pm for additional distinguished collectors and VIP guests. The invite card below was provided by our friends at Irreversible - an international art project exhibiting at MIA aboard the SeaFair - Booth No. 210. The card can be downloaded and presented to enjoy one day complimentary admission for you and a guest any public day of the fair Jan.17-2o, as well as to the Collector's Invitational on Jan.16, 2o14 from 8-10pm. Join us on January 11, 2o14 from 6-10pm for Miami-based artist Renda Writer's solo art show at Rise Up Gallery in the Wynwood Arts District for Second Saturday's Art Walk. The artist will be exhibiting and selling original artwork from his series 'Hypergraphia' - a behavioral condition characterized by the intense desire to write. Rise Up Gallery is located at 187 NW 27th Street in Miami, Florida 33127.